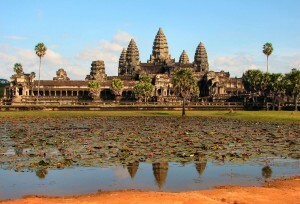 Siem Reap in Cambodia is most famous for the UNESCO world heritage archeological site of Angkor Wat. 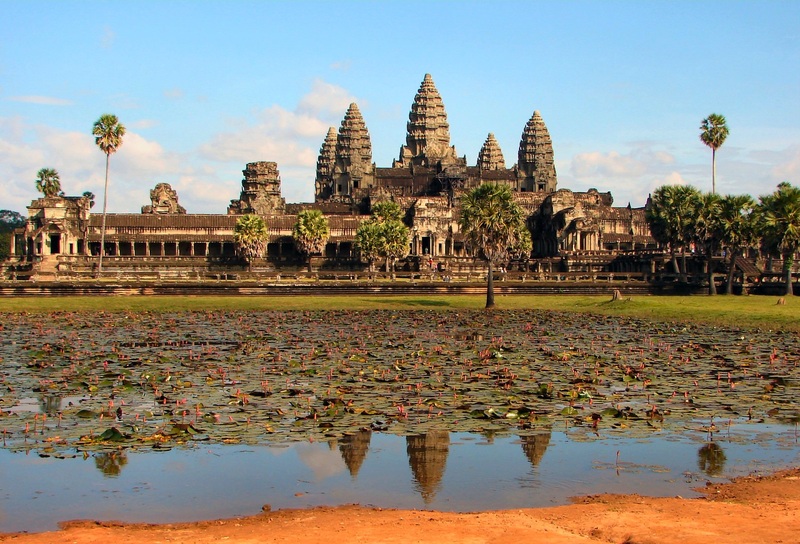 About a million tourists visit the site each year and the once sleepy town of Siem Reap is now teaming with a constant flow of international visitors. The growing, bustling nightlife in the town and the opening of some gay bars is a fairly recent phenomena. 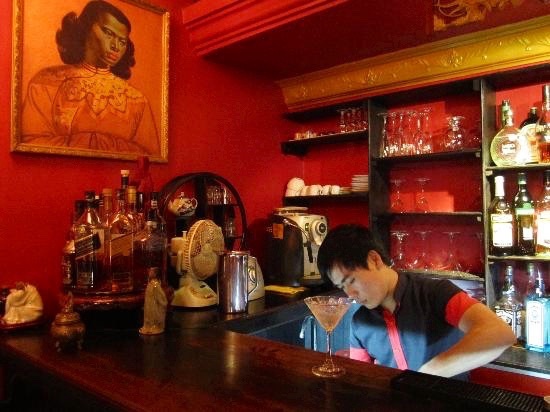 Siem Reap is far from a party town but on our last visit we found two great little gay bars (Linga Bar and Miss Wong Cocktail Bar) and both made our stay in this vibrant, cultural mecca all the more special. Linga Bar, located right in the centre of town near the old market, among small shops and eating places, is busy most nights especially from 11pm onwards. 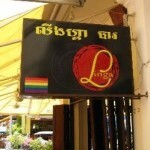 Linga means energy and strength and certainly this bar’s name symbolises what Siem Reap is about today. The bar’s black leather couches set around low small tables, cool house music and surprisingly good cocktails draw in both young local Khmers and many foreign tourists. On Saturday nights there is often a drag show which not only livens up the gay clientele but passers by are also keen to have a peek. 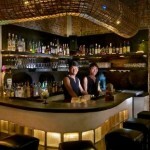 The bar staff are very friendly and eager to make your night at Linga Bar memorable. Just be prepared to answer the perennial questions, “Where are you from? Do you like Khmer boys?“ If you get the chance to chat with the bar staff you will find their life stories fascinating and their tenacity and strength to improve their lives amazing. As the night proceeds the music gets louder to compete with the music next door and the bar gets very crowded as local guys are interested in meeting westerners. 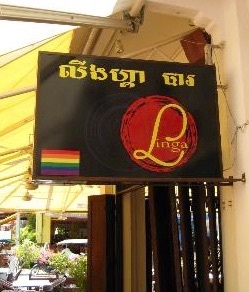 Linga bar is best either for pre dinner drinks or for a late night, after dinner party and has been the place where gay travellers in Siem Reap have spent many memorable evenings while visiting this fascinating city. 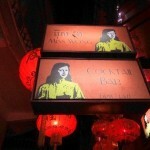 Miss Wong bar is a small surprise package located in the ‘The Lane’ behind Pub Street. 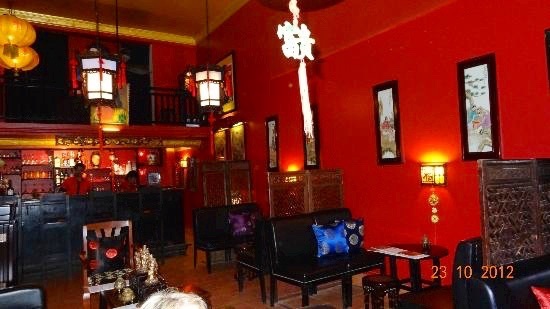 Entering the bar on a hot steamy night you are immersed in an exotic, oriental den and you feel as if you have arrived in old Shanghai. 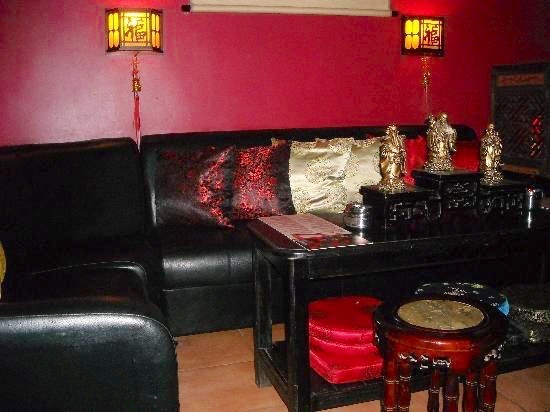 Beautifully decked out with crimson wall hangings, Asian lanterns and umbrellas, combined with dark, heavy timber furniture and low lighting, this tiny bar we found to be very welcoming and a great place to chill out. New Zealand owner and host Dean works the crowd with stories, good humour, invaluable travel advice and has an exceptional knowledge about the local environment. 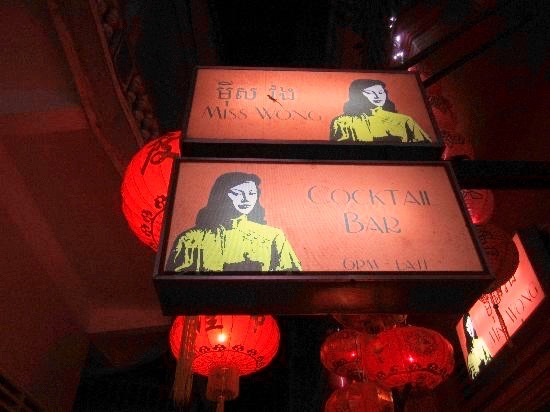 We found Miss Wong to have a cosy, welcoming atmosphere with an air of sophistication, similarly attributed to the woman it was named after. It is a relaxing place for after dinner drinks. We went with the bar’s favourite cocktails, their famous Indochina Martini and the fresh tasting Lemongrass Collins, both excellent, with a twist of the orient. 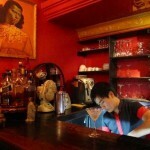 The bar is also known for a good Singapore Sling and at $5 it is a quarter the price you pay in Singapore or Shanghai. 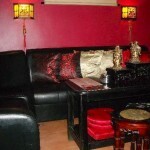 The clientele is a mixture of gay and straight and caters for those wanting to relax rather than getting ruined like some of the monuments of Angkor Wat. We did not get to The Station Wine Bar but we have heard that it has an extensive range of wines along with the usual beers and sprits. The bar also has drag shows on the weekend around 9:30pm. 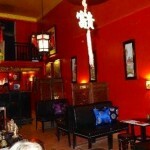 Of course there are many other great bars in Siem Reap. They have so many, they created a whole street (Pub Street) and most nights this area becomes one big party. 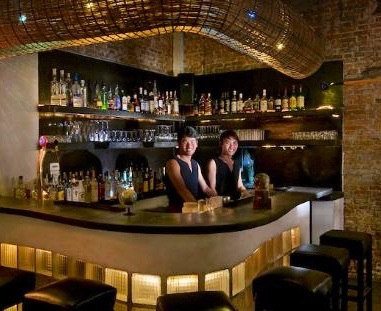 However, we wanted to seek out some bars which catered for our specific tastes and for our 7 days in Siem Reap, Linga Bar and Miss Wong provided us with some relaxing and enjoyable evenings as well as lasting memories of this amazing part of Asia.